6 Things Every Woman Should Do Before Getting Married! That’s exactly what growing up means. Use those youth years to experiment with life, discover better your personality, and find out what makes you happy and what not. If you don’t love yourself or the life you create for yourself, there will never be a room for a partner in it. Traveling is probably one of the most self-revealing and empowering experiences you can live as a single person. Do it alone, do it with a group of friends, do it as much as you can; you won’t regret looking at those albums and being grateful for all the lessons your learnt when you were venturing in foreign countries and discovering the world. Whether it’s a corporate career or an academic one, enrolling in a dance academy or joining a choir, you can’t live without a purpose. Finding your passion and fulfilling it is a major part of giving meaning to your life and finding your happiness independently of anyone else. Reaching “wholeness” as an individual entity is primordial to the success of your couple life. Before committing to someone else, you have to be fulfilled and content with who you are and what you’ve achieved in life. Being financially independent will help you stay self-satisfied and never reliant or vulnerable vis-à-vis your future spouse. With marriage come many new responsibilities and compromises that might stand in the way of that “me” time. Before getting to that, make sure to indulge yourself in everything that brings you pleasure, be it a luxurious evening dress or those expensive pair of shoes you’ve been lusting after for months. You’ll have plenty of that routine and comfort you’re now worried so much about in your married years. To enjoy being settled, be sure you make some crazy spontaneous decisions in life before you get there; we promise you won’t regret them. Book that last-minute ticket, jump off that cliff, talk to strangers, try new things and especially the ones that scare you. Taking risks and overcoming fears will help build your character and make you stronger! Are you a bride-to-be looking for the perfect wedding dress? Don’t hesitate to get in touch with our team at Esposa. 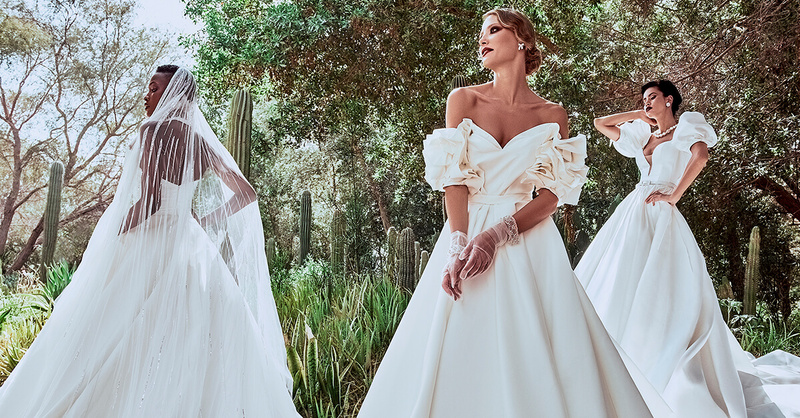 We are available around the clock to assist you in anything you need and help you choose your perfect wedding look amongst a wide selection of wedding dresses in Lebanon, Dubai, and Abu Dhabi!